Reading and share top 1 Volney Steele famous quotes and sayings. 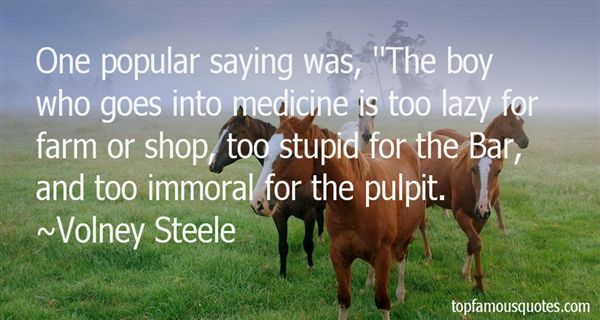 Browse top 1 most favorite famous quotes and sayings by Volney Steele. If a man could have half of his wishes, he would double his troubles."